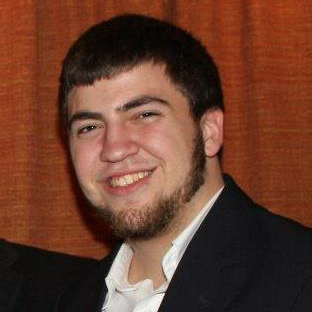 #BirdofMouth student blogger Greg Nordstrom is a senior mass media major at Illinois State. Illinois State’s move-in is fast approaching—and technically has already begun for some students—so the excitement for college is building. 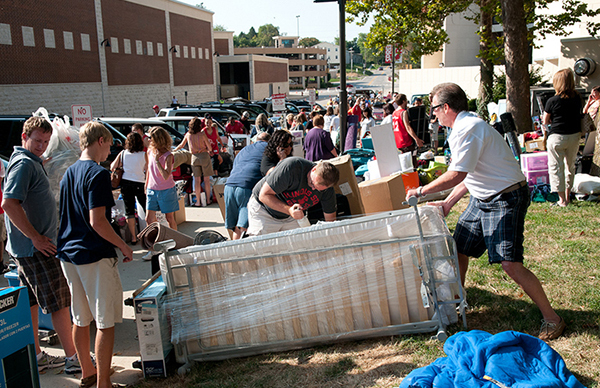 Packing smart will help you move smoothly into your Redbird life. Get the most out of move-in with my five tips below. For more tips on packing for Illinois State move-in, check out University Housing’s list of what to bring and what NOT to bring. You can also download newsletters from Housing, tailored to your residence hall. I promise you: You won’t need all those clothes AND the kitchen sink. (Besides, there are sinks on every floor.) Yes, it will snow and get cold, but you won’t need your heavy coat and huge snow boots for a few months. After a couple weeks on campus you’ll have a better idea of what you will use and need. Then you can pack up the suitcase for round two of clothes to campus if you choose to go home for Labor Day weekend. You’d be surprised at how much you can fit into those two or three bags. When it comes to clothes, I like to use the rolling method. Simply fold and roll each item, and then stuff your bag full. And here’s a tip for better living: Don’t wait until the last minute to pack. Do it a day or two before so that you can find the best fit for all of your essentials. Use your suitcase to its full potential by filling each nook and cranny with your rolled items. Living on your own for the first time is exciting! I know you’ll want your entire DVD, record, or book collection, but with video streaming and tablets, is it really worth hauling that extra tote? Here’s a good rule of thumb for what you will actually need and use: Have you used it in the last two weeks? No? Then you probably won’t need it in your residence hall room. Family and friends will be helping you move your things into your room, so make sure that everyone knows what’s up. Don’t forget that you will need to check in and get your key. That means once everything is unloaded from the car, you will need someone to stay with your things, someone to park the car, and probably someone to hug mom and dad. After all, you’re leaving their nest and moving into your Redbird nest. Don’t be overwhelmed! Our Redbird family is so excited that you are moving in. There will be many volunteers, aka Curb Birds, helping move things and pointing you in the right direction. In fact, more than 400 students and staff will serve as Curb Bird volunteers this year, including 130 student-athletes. We also provide carts and dollies to make moving all your things a bit easier. #BirdofMouth student blogger Greg Nordstrom is a senior mass media major at Illinois State. Read more #BirdofMouth posts.